Since 1997 the U.S. Department of Energy (DOE), through its National Energy Technology Laboratory (NETL), has actively pursued and funded research into carbon capture and storage (CCS). As a result of better management of greenhouse gas emission, vast amounts of CO2 became available as a carbon source for multiple applications. NETL's CO2 Utilization Focus Area was tasked with developing technologies that can beneficially use CO2 in products, including plastics production. In 2013, the DOE's Office of Fossil Energy reported the world’s first successful large-scale production of a polypropylene carbonate (PPC) polymer using waste carbon dioxide as a key raw material. The PPC polymer production run, conducted by Novomer — an Ithaca, N.Y.–based company that manufactures eco-friendly plastics and polymers using CO2 — in collaboration with specialty chemical manufacturer Albemarle Corporation in South Carolina, tested scale-up of Novomer’s then proprietary catalyst system. Requiring only minor modifications to existing Albemarle facilities, the run produced seven tons of finished polymer for use in flexible, rigid, and microcellular packaging foams, thermoplastics, polyurethane adhesives and sealants, and coating resins for food and beverage cans. By extracting carbon molecules from carbon dioxide, Novomer plastics are made with 50% CO2 — the balance being conventional petroleum feedstock — about half the amount that typical plastic manufacturing requires. Another company — California-based Newlight Technologies — followed suit by developing AirCarbon™, a material made by sequestering carbon emissions that would otherwise become part of the air. This unique bio-catalyst removes the carbon from a liquefied gas and converts it into a long chain plastic molecule closely resembling polypropylene. Global companies such as Germany's Bayer MaterialScience also reported success in using carbon dioxide in plastics at an industrial scale. Two years prior to Novomer's success in the United States, Bayer had focused on using carbon dioxide to manufacture samples of polyurethane foam that rivaled those produced with petroleum. Fundamental to successful CO2 plastics production are metallic catalysts. In 2018, Toronto researchers pinpointed copper as the catalyst necessary to efficiently convert carbon dioxide to ethylene, which, when processed to make polyethylene, is the basis for a number of plastic items including packaging, bottles, and toys. The team met and overcame challenges surrounding minimizing methane output connected with controlling the copper catalyst for an outcome they described as "...possibly leading to an incredibly green production mechanism for everyday plastics, meanwhile sequestering harmful greenhouse gases." Independent research at the University of Nebraska-Lincoln corroborated the Toronto team's findings with an important exception. Researchers found that some copper-based setups converted only about 15% of CO2 into ethylene. That led an R&D team at Swansea University in Wales to coat copper with different polymers to potentially increase conversion efficiency. After overlaying it with a polymer called polyacrylamide, they found that their copper foam's conversion rate rose from 13% to 26%. 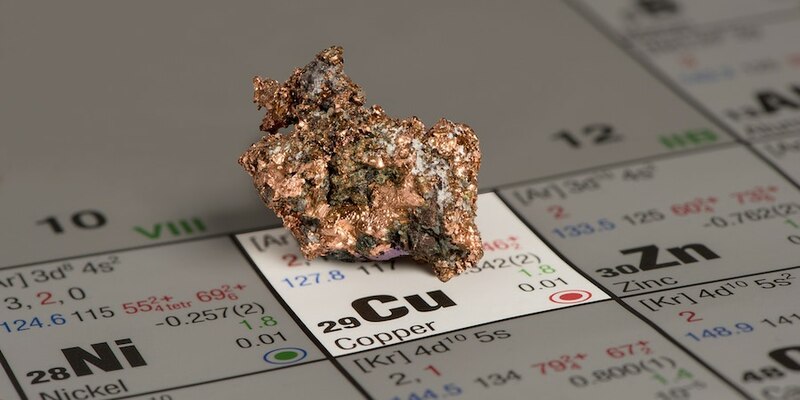 Research continues into the benefits of pairing carbon capture technology with copper catalysts to convert CO2 into plastic, including exploring earth-friendly sources such as wind, solar and nuclear for energy required for conversion. In the near term, making conscious decisions about plastic materials used in your projects could help mitigate some of the challenges CO2 plastics production is trying to overcome. Learn more about key considerations for assessing your project from a materials perspective in Resin Selection for Industrial Applications. Click the button below to access your copy of this valuable eBook now.